How does Coca-Cola promote active, healthy living? We promote active, healthy living by encouraging everyone to balance “calories in” with “calories out.” Today, we offer more than 700 beverages in North America, including 180 low-and no-calorie options and smaller portion sizes. We put calorie counts on the front of nearly all our packages and are now adding them to our Company-owned vending machines to help you choose the beverages that fit your lifestyle. We also support many fitness and nutrition education programs in our communities. In 2012, Coca-Cola gave more than $15 million to active, healthy living programs across North America. What are examples of the active, healthy living programs Coca-Cola supports? Coca-Cola supports many active, healthy living programs across North America. For example, our Triple Play partnership with the Boys & Girls Clubs of America has helped more than 1 million children learn the importance of physical activity and a balanced diet. Through the Coca-Cola Troops for Fitness program, military veterans teach boot camp-style fitness classes in underserved communities. We’re also working with the National Foundation for Governor’s Fitness Councils to fund 100 new fitness centers in U.S. schools over the next five years. In Canada, we partnered with ParticipACTION to create Sogo Active, a program that challenges teens to exercise more often. Can Coca-Cola beverages be part of a healthy lifestyle? Yes. All of our beverages can be part of a healthy lifestyle that includes a balanced diet and regular physical activity. We offer more than 700 beverage options in the U.S. and Canada including sparkling beverages, water and water beverages, juices and juice beverages, sports drinks, teas and energy drinks so you can make the choices that fit your lifestyle. It’s important to keep in mind that all calories count, whatever food or beverage they come from, including those from our caloric beverages. If you’re looking to cut calories, we have more than more than 180 no- and low-calorie choices as well as portion-controlled, 90-calorie mini cans of popular beverages like Coca-Cola and Sprite. What are some of Coca-Cola’s low- and no-calorie options? We offer more than 180 low- and no-calorie beverages in the U.S. and Canada. Examples include Diet Coke, Coke Zero, Sprite Zero, Fanta Zero, Fresca, Seagram’s Sparkling Seltzer Water, DASANI, smartwater, vitaminwater zero, POWERADE ZERO, and Minute Maid Light Lemonade – to name a few. We also offer smaller portion sizes of our full-calorie drinks, such as 90-calorie mini cans of Coca-Cola and Sprite. How is Coca-Cola investing in innovation to promote healthy lifestyles? We are actively investing in the innovation of sweeteners, products, packaging and marketing that promotes active, healthy living. For example, we use stevia, a natural sweetener, in vitaminwater zero. Our packaging innovations include smaller portion sizes, such as our 7.5 fl. oz. (222 ml) mini cans. We also continue to increase our offering of products fortified with added vitamins and minerals, such as Minute Maid Kids+ orange juice. How does Coca-Cola promote informed choice? We’re making it easier to choose the beverages that fit your lifestyle and needs. We offer a wide range of regular, low- and no-calorie beverages in a variety of portion sizes, with calorie counts on the front of nearly all our packages. Through our industry’s Calories Count Vending Program, we’re also adding calorie labels for each beverage selection on Company-owned vending machines across the U.S. Does Coca-Cola market its products to children? No. We do not market any of our beverages directly to children under age 12. This means we do not advertise any of our products in media directly targeted to children under 12, and we will not buy advertising in media with audiences that are more than 35% children under 12. We respect the role of parents and other caregivers as gatekeepers in all decisions affecting their children – including what they eat and drink. Our industry established School Beverage Guidelines to govern what we sell in schools. In elementary and middle schools, we only offer bottled water and 100% juices. In high schools, we offer water and water beverages, juices and juice beverages and a selection of regular and low/no-calorie beverages. Under the Guidelines, our industry has been voluntarily removing full-calorie soft drinks from elementary, middle and high schools. Together, we have reduced the beverage calories our industry supplies to U.S. schools by 90% since the 2004-2005 school year. Can soft drinks make you fat? Coca-Cola and other sugar-sweetened beverages have calories – and all calories count in managing your weight. But people consume many different foods and beverages, so no single food or beverage alone is responsible for people being overweight or obese. All foods and beverages can have a place in a sensible, balanced diet combined with regular physical activity. What is energy balance, and how does it relate to weight? “Energy balance” is a balance between calories consumed and calories burned. To maintain a healthy weight, it’s important to balance the calories you consume with the calories you burn by eating a balanced diet combined with regular physical activity. How much soda can I drink a day? Moderation is key. Make sensible choices that include a variety of foods and beverages to meet your individual nutrition and energy needs – and keep in mind that all calories count, including those from caloric beverages. Obesity is a serious, complex problem that community, business and government leaders must work together to solve. As the world’s leading beverage Company, Coca-Cola is playing an important role in the effort to find solutions. We offer more than 180 low- and no-calorie choices and smaller portion sizes of our full-calorie beverages. We put calorie counts on the front of nearly all our packages and are adding them to our Company-owned vending machines to encourage informed choices. The Company also partners with local governments and communities to help reduce obesity through programs like Coca-Cola Troops for Fitness, Triple Play, Exercise is Medicine, Rails-to-Trails Conservancy and many others. Recently, we launched new TV commercials to remind people of our ample beverage choices and the importance of balancing “calories in” with “calories out.” These ads reinforce our commitment to continue to help America fight obesity. Learn more at Coke.com/comingtogether. Are sugar-sweetened beverages solely to blame for obesity? No. There is widespread consensus that weight gain is primarily the result of an imbalance of energy — too many calories consumed and not enough calories burned. All calories count, whatever food or beverage they come from, including calories from our beverages. But people consume many different foods and beverages, so no one food or beverage alone is responsible for people being overweight or obese. According to the U.S. National Cancer Institute, calories from sugar-sweetened beverages, are, on average, only 7% of the American diet. That means about 93% of calories, on average, come from other sources. (There are age, gender and ethnic groups that have higher or lower intakes of calories from beverages). Should I stop drinking sugar-sweetened beverages to lose weight? All foods and beverages can have a place in a sensible, balanced diet combined with regular physical activity. Experts agree that the key to maintaining a healthy weight is balancing the calories you take in with the calories you burn. Keep in mind that all calories count, including those from sugar-sweetened beverages. It’s also important to ensure you get the nutrients you need in your diet from a wide variety of food and beverages in moderate portions without exceeding your daily calorie needs. We offer a wide variety of regular, low- and no-calorie beverages in many portion sizes to help you make the choices that fit your lifestyle. Will taxing or restricting sugar-sweetened beverages reduce obesity? No. Obesity is a serious, complex problem that everyone must work together to solve. People consume calories from many sources, so singling out beverages is not the solution. According to the U.S. National Cancer Institute, sugar-sweetened beverages account for about 7% of calories, on average, in the American diet. That means about 93% of calories, on average, come from other sources. (There are age, gender and ethnic groups that have higher or lower intakes of calories from beverages). Further, as soft drink consumption has decreased in recent years, obesity rates have continued to rise. There is no silver bullet when it comes to solving obesity; it will take collaboration from all of us to find real solutions. Haven’t “super-sized” beverages contributed to the obesity epidemic? Should these large portions be banned? People get calories from many different sources, so it is impossible to attribute a complex problem like obesity to any one food, drink or ingredient. All calories count, whatever food or beverage they come from, including calories from sugar-sweetened beverages. But calories from sugar-sweetened beverages account for about 7% of the American diet, on average. That means about 93% of calories, on average, come from other sources. (There are age, gender and ethnic groups that have higher or lower intakes of calories from beverages.) Further, we do not agree with discriminatory policies that limit choice. We offer a wide variety of beverages and portion sizes – with calorie counts up front — to help you make the choices that fit your lifestyle. Will drinking sugar-sweetened beverages increase my risk of heart disease and stroke? Eating and drinking more calories than you burn can lead to overweight and obesity, which are risk factors for heart disease and stroke. It’s important to keep in mind that all calories count, including those from caloric beverages and anything else with calories. We offer a wide variety of products for every lifestyle, including more than 180 low- and no-calorie options to help you manage your calories. 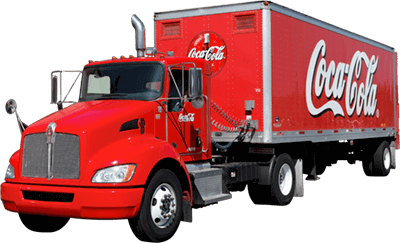 What is The Coca-Cola Company Beverage Institute for Health and Wellness?